Easy homemade sourdough bagels you can make at home with your own active sourdough starter. 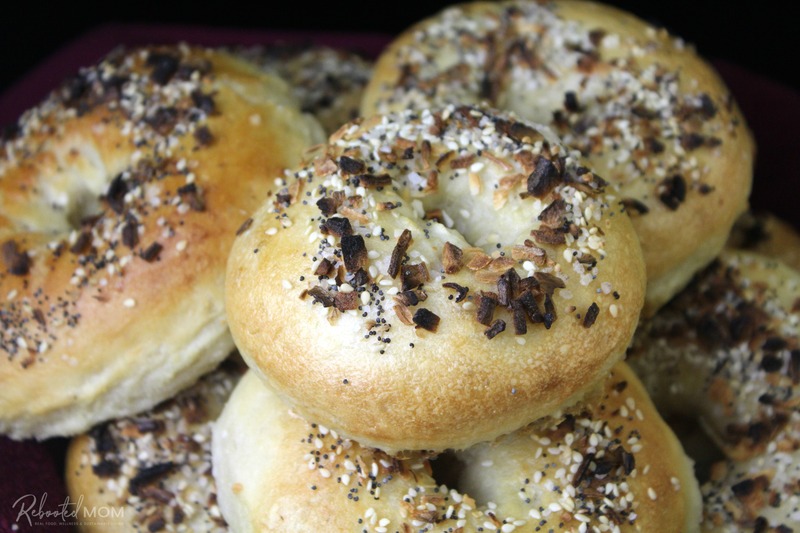 This step by step tutorial makes the most delicious bagels! After a half dozen attempts at making bagels, I’ve finally found the perfect recipe for simple sourdough bagels from an old cookbook I’ve had for years. Nineteen years to be exact, and it’s an old church cookbook that I’ve had since my time in the service. I’ve made regular bagels several times in the past, but nothing compares to a fresh sourdough bagel. 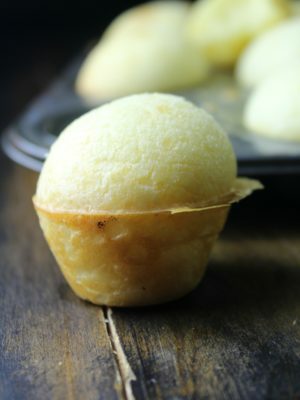 They are absolutely divine! A few tweaks to the original church-cookbook recipe resulted in perhaps the most delicious bagels I’ve made yet. 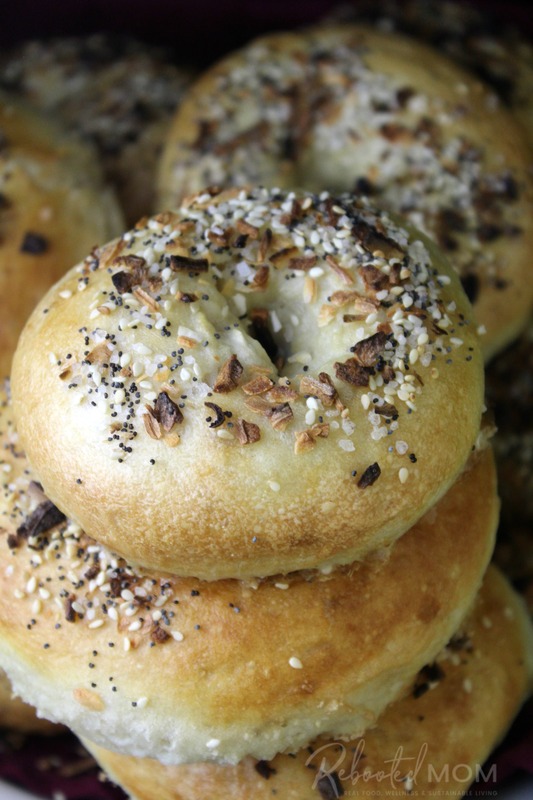 These bagels require a sourdough starter – plan ahead! 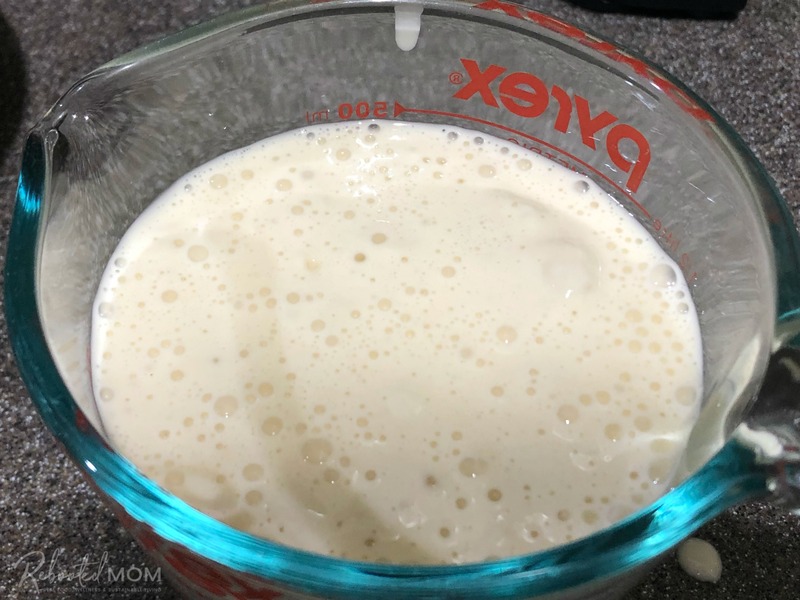 If you have a sourdough starter you keep daily (or, even one that you keep in your fridge and pull out when needed) this recipe is literally a breeze. 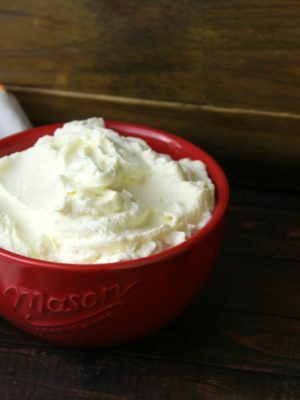 The mixing of this recipe is quite simple – it’s the waiting that is hard to do! I like to mix them up at night (very late) before bed, around 11pm. Then I plop the dough in a greased mixer bowl and cover with a plastic bag (like a grocery store bag) and allow it to rise overnight. 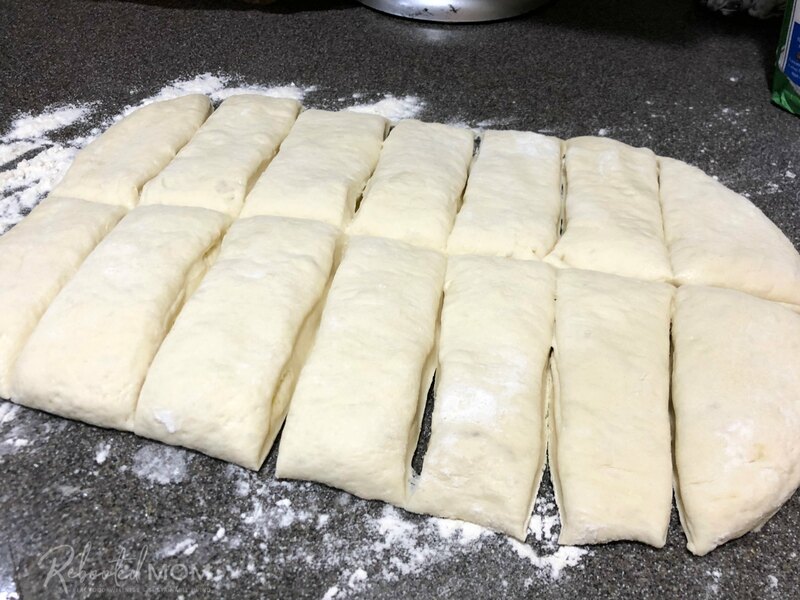 First thing in the morning, I remove the bag and continue to shape the bagels, allow them a short time to rise, then place in the baking soda and water boil. After their baking soda bath, I brush them with a mixture of egg and water (blended well of course), then sprinkled with my topping. Who doesn’t love a combo of sesame seeds, dried onions, poppy seeds and salt? It’s clearly perfection! It’s important to make these bagels with a very active and fresh sourdough starter. If you currently keep a starter, you’ll want to feed it about 4-5 hours before you start making these bagels. If you don’t keep a sourdough starter, consider starting one: equal parts of flour and water, twice a day, for 4-5 days. in a large jar (like this kombucha jar here). Every few days, I like to dump a little of the starter out to keep it fresh, then add my flour/water. It’s ready when you see active bubbles on the surface. 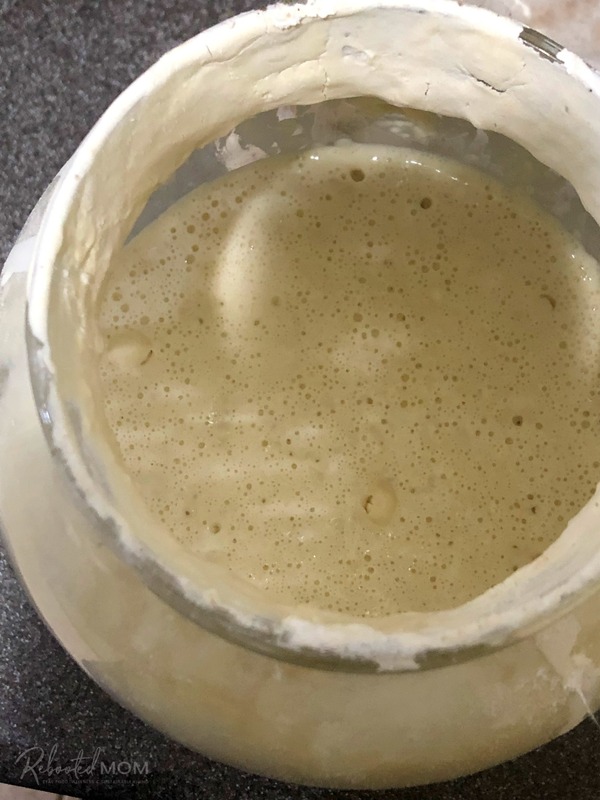 This sourdough starter in the measuring cup was just 4 hours after a feeding – it was nice and bubbly on the top and I knew it was ready to use in some fresh sourdough bagels. 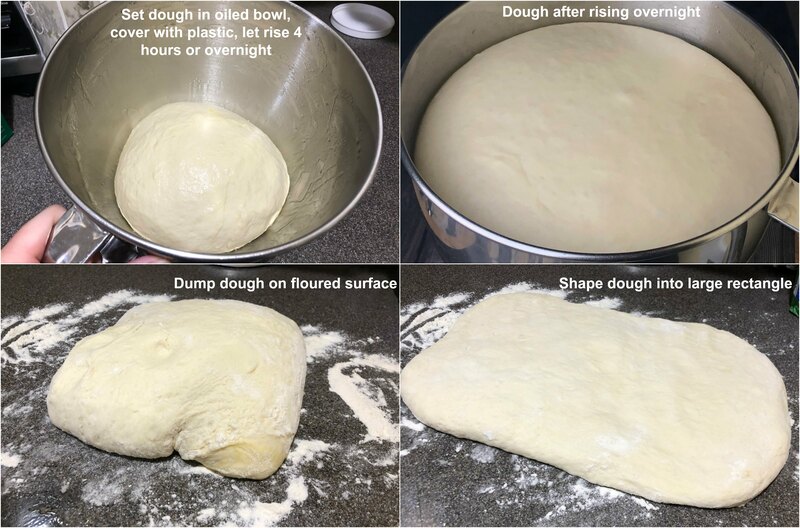 Once you mix all of the ingredients, use your dough hook to knead the dough in the KitchenAid Mixer for a good 7-8 minutes. 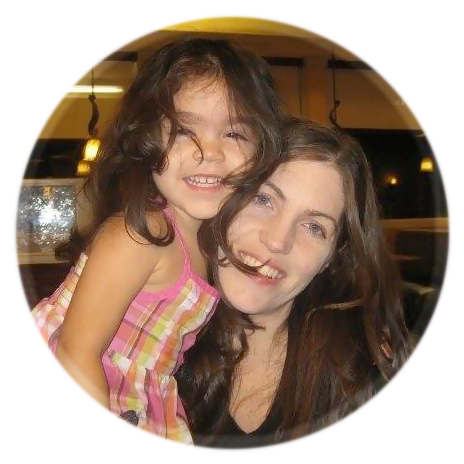 During that time, I like to wash dishes (or unload the dishwasher) and clean up the kitchen counters. 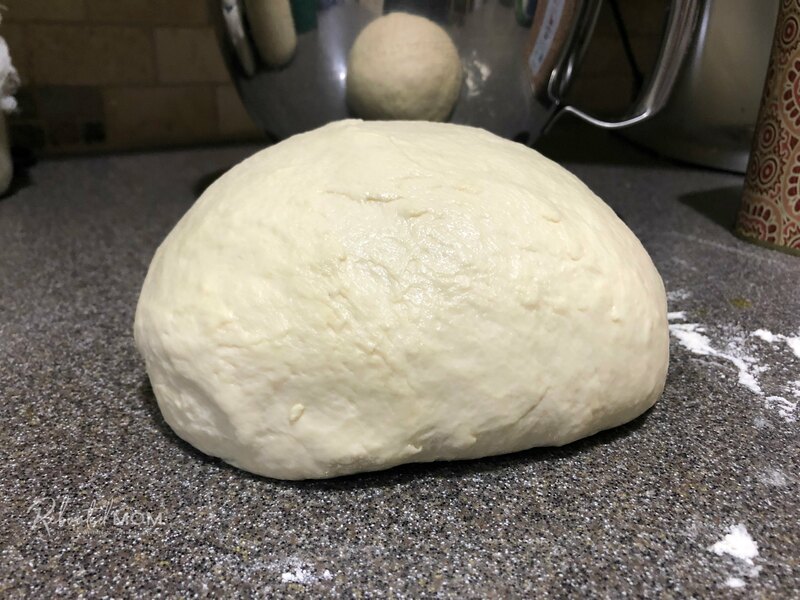 The bagel dough will definitely be a stiff dough – but the more you knead with the dough hook, the more manageable it becomes. You will need the flour to pass the windowpane test – if it doesn’t, allow it to rest for 3-4 minutes, then flip the mixer back on again for a few more minutes. Eventually it will pull away from the side of the bowl. Once ready (and once it passes the windowpane test), lightly flour your counter and dump the dough out right on top. Lightly oil a bowl (I scrub out the mixer bowl and dry thoroughly), and plop the dough in there. Turn it around to give it a light coat of that oil and then throw a plastic bag over the top. A grocery bag works great. Allow the dough to rise for at least 4 hours, if not overnight (8 hours). When it’s ready, dump out onto a floured counter top. 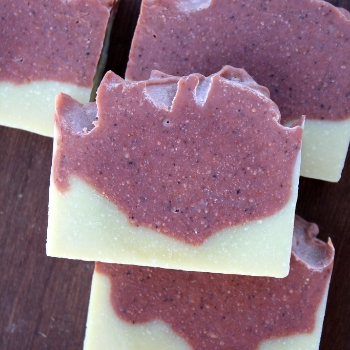 Push the dough into a large rectangle and cut into 14-16 even pieces. Once it’s rolled out, a large knife works wonderful for slicing it into pieces. You can take each piece and pinch the bottom to make a round ball. Then push your finger through to make a “hole”. Then twirl on your hand to make the hole larger until it’s the size you would like. Or… roll the piece out as if you are making pretzels. Instead of making the pretzel, make it a circle and push the two ends together. I prefer to pinch the sides under and start with a round ball, then push my finger through to make the hole. It’s just so much easier (plus it’s fun, too). Don’t worry if your bagels look lumpy, they’ll even out over time. Once you shape all of your sourdough bagels, place them on a greased cookie sheet (or greased baking mat) and lay a damp towel over them. You will need to allow them 30-45 minutes to “rest” – during that time they’ll gradually rise. While you wait for that rise, fill a large stockpot with water. 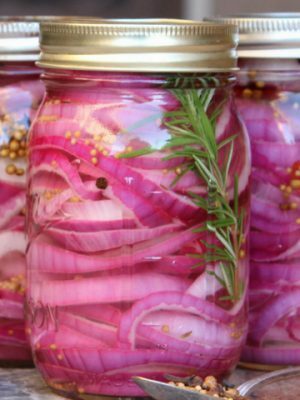 I use a one-gallon pot and fill with just over two quarts of water. Add one tablespoon of baking soda, and allow the pot to come to a low boil. 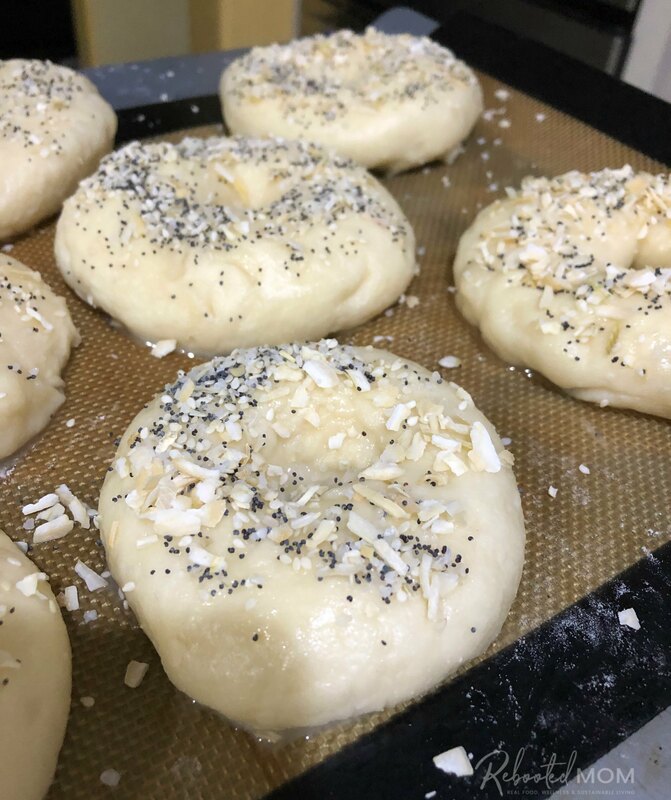 While you boil your bagels, preheat your oven to 450 degrees F.
Place the sourdough bagels on your baking sheet and give them a quick brush with the egg + water mixture. Then sprinkle with your choice of toppings (I like sesame seeds, poppy seeds, dehydrated onions and coarse sea salt). Bake in your 450 degree F oven for 13-15 minutes. The tops should become very brown when they are done. Remove and allow them to cool before enjoying. (They will be very hard out of the oven but will soften up nicely once they begin to cool). 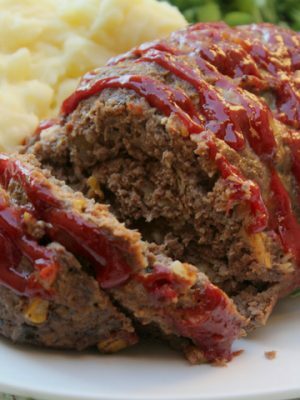 They are best when enjoyed immediately – but they keep wonderfully in a gallon ziploc bag. Easy and delicious sourdough bagels you can make at home with your own sourdough starter. Combine your active sourdough starter, oil, flour, salt and water in a KitchenAid mixer bowl. Use the dough hook to mix the dough, and knead for a solid 7-8 minutes. The dough is ready when it pulls away from the bowl and becomes quite stiff. Transfer the dough to a well-oiled bowl, cover with plastic for 4 hours if not overnight. After that time, dump the dough onto a lightly floured surface. Roll or flatten into a large rectangle and cut into 14-16 pieces. Shape your bagels: pinch the ends over and meet at the bottom, shaping into a ball. Push your finger through the middle to form the "hole", and widen to about 1.5-2 inches. Repeat. Place the shaped bagels on a greased cookie sheet or counter top. Cover with a damp towel, and allow to rise again for 30-45 minutes. During that time, combine the 2 quarts water + baking soda in a one gallon stock pot. Bring to a low boil. Preheat your oven to 450 degrees F.
Place 3-4 bagels at a time into the baking soda + water mixture. Boil for 30 seconds on each side. Remove with a slotted spoon and place back on the greased cookie sheet/baking mat. Brush the bagels with the egg + water mixture (optional, but gives a nice shine). Top with your choice of toppings. Bake for 13-15 minutes at 450 degrees F, or until bagels are a beautiful golden brown. Allow to cool before enjoying. 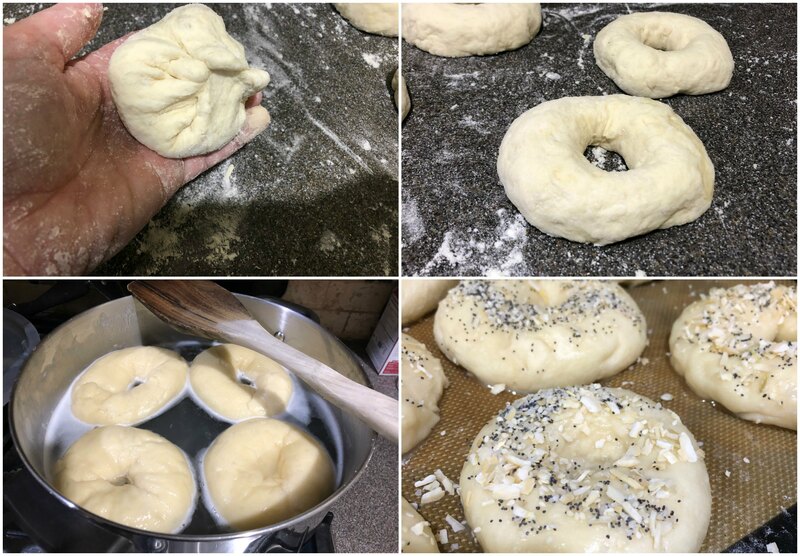 Share the post "Homemade Sourdough Bagels"